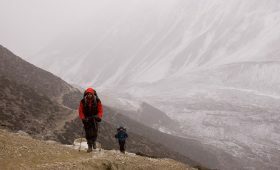 Trekking around Manaslu is a unique experience as it is one of the off- beaten treks in Nepal. Mount Manaslu is the 8th highest mountain in the world, this is a major highlight of this trek. And there is a lot more to offer. But along with the exotic adventures comes the Manaslu Circuit Trek difficulty. The reason being various factors at play such as the high altitude, cold weather, and slippery trails. However, lately this trek is becoming equally popular and a desirable destination for many adventure lovers. 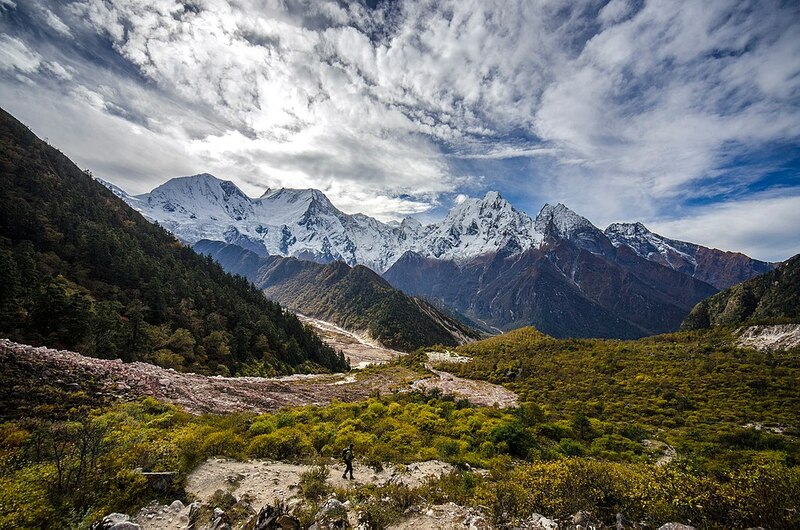 The Manaslu region is full of abundant natural beauty. And for those who want to explore the isolated region and likes the whole notion of complete peace, it is a great option. 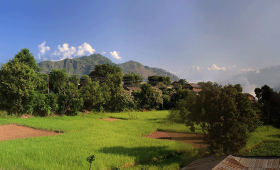 This circuit trek takes you through the rich culture of remote villages of the Gorkha district. And consists of green forest, waterfalls, rivers, spiritual lands and amazing mountain vistas. The Manaslu circuit trek is a perfect amalgamation of being an authentic, adventurous and a truly remote region trek. So, taking this trek will certainly be a worthy experience. This is a strenuous trek. Thus, it can be difficult for beginners. Yet, with the right preparation and good level of fitness along with strong determination, anyone is capable of taking this trek. Now let us guide you with various factors that will allow you to make your own decision. 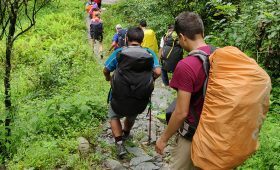 With the information on various factors that affect the trek’s difficulty, you can plan accordingly for this adventure. 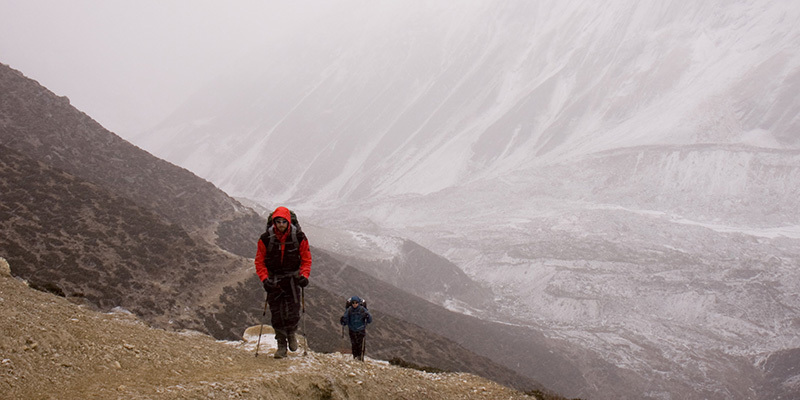 The Manaslu Circuit trek distance is about 177 kilometers. This trek is widely varied and you will walk through the different terrains so it is one of the reasons why it is difficult. On a standard 17 days itinerary, you will walk for 10-12 days with an average distance of approx 15-20 km each day. One of the most challenging day during this trek is crossing the Larkya La Pass at an altitude of 5213m. With this challenge, you will discover your endurance level and upon completion, you will get a deep sense of satisfaction and achievement. You can increase or decrease the number of your trek days depending on the length of your walking days. And also the starting point. And if you spend long days on the trail then you will have much easy time while trekking. Manaslu Circuit trek is easily accessible from the country’s capital ‘Kathmandu by bus. It takes about 8-9 hrs drive till Arughat or Soti Khola. The distance you will cover on this bus ride is about 138 km. While the first few days on the trail is quite difficult since the Budhi Gandaki Gorge is a harrowing steep. You have to walk through lots of uphills and downhills. Sometimes you have to walk via breezy trails and cross suspension bridges over the Budhi Gandaki river. Due to the uneven terrain, you may face many hurdles. On this trek, you will be walking on snow but you do not need any technical skills to cross the high alpine pass. To cope with the trek difficulty one must prepare physically and mentally. So, train yourself and get into the habit of walking on uneven surfaces before you take up the trek. Manaslu Circuit Trek has an altitude that varies greatly. This trek takes you through a different landscape, climate and altitude. This adventurous trek starts from the lower altitude of 700m i.e Soti Khola. And goes up to a higher altitude of 5213m i.e the Larkya La pass. One of the greatest challenges that most trekkers are likely to face is their ability to adjust to the high altitude. As you go higher you will come across snow, sun, and cold wind etc. And higher the altitude there is a greater risk of AMS (Acute mountain sickness). Because of this reason, a long itinerary becomes very helpful. It gives you enough time to adjust to the high altitude by ascending gradually with enough acclimatization. And to say who is at greater risk is almost an impossible question to answer. Everyone is at risk of altitude sickness despite age, gender or fitness level. Hence to trek to a high altitude like this one, it is very important to educate yourself about the symptoms of AMS. Along with various precautions that you can take to minimize the risk. One of the best ways to go about is by walking slow, taking rest, drinking plenty of water etc. Avoid alcohol, it increases the risk of altitude sickness as it causes dehydration. In times when you feel like you have any symptoms of AMS, immediately seek help from the guide, porter or the team leader. Never push too hard on yourself and do not hesitate to descend or back off if your condition doesn’t seem to improve. This will save you from putting yourself in a worse condition which can be fatal. Traveling at high altitude like this opens up possibilities for various questions about the weather. There is no denying that the weather plays a vital role in determining your trek difficulty. And the weather in the mountains is often unpredictable. The Manaslu region is usually warm in the daytime. But at the night time, this region is always cold and the temperature drops below the freezing point. Nepal witnesses four seasons i.e Summer, Spring, Winter, and Autumn. The temperature, rainfall, amount of sunshine and wind condition varies with each season. Summers in Manaslu region from June to August is generally hot and wet. In the late June and July, monsoon completely dominates the summer. Hence because of the rain, the trail is slippery, muddy and full of leeches. Trekking to Larkya La pass during this time can be tricky. You will need a very good pair of trekking boots that have a very firm grip to make your trip convenient. This will make your trips a lot easier. Spring i.e from March to May is one of the best times to trek to Manaslu. The chances of rainfall are least during this season. The temperature is mildly warm with around 16 degrees in the daytime. But the nighttime is quite cold with an average temperature of 2 degrees. Autumn from September- November is the peak season for the Manaslu Circuit trek. The weather conditions are quite similar to that of Spring or even better. The temperature during this time is stable and the weather is pleasant offering striking and clear mountains views. 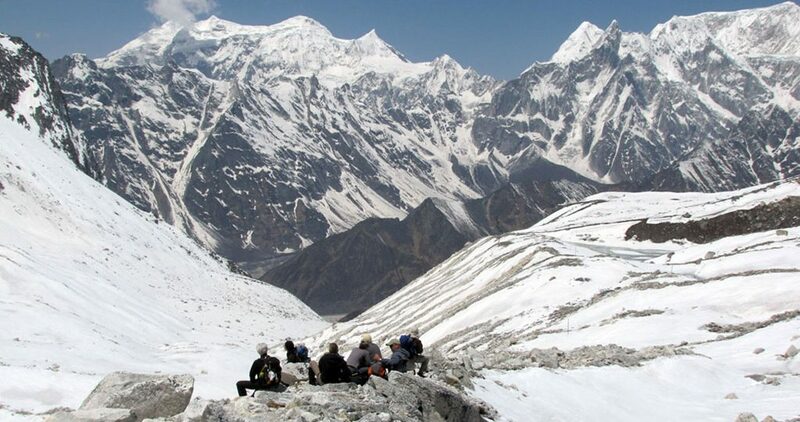 Winter in Manaslu region from December – February is the least preferred time. During this time the temperature goes to -15 degrees in the night. The Larkya La pass may remain closed in winters due to heavy snowfall. However, with right packing and preparation, trekking during this time is still possible. Training is the best way to keep you fit and prepare for a challenging trek. It helps you to become physically and mentally fit. That’s why spending a couple of months in training yourself will help in making the trek less difficult. While trekking in route such as the Manaslu region, strength and endurance training is key to maintaining your fitness level. In this trek, you will be walking for 5-6 hrs daily for several days. Along the rocky paths with steep climbs and descents. To develop your endurance, you can also try walking for a few hours with a backpack to build your shoulder and arm strength. Another key to the Manaslu Circuit trek is cardiovascular fitness. As the altitude increases, the air pressure decreases. This means that there is less oxygen to breathe. Hence to cope up with less oxygen, you have to work on your cardiovascular fitness. Some of the exercise you can do are cycling, running, jogging, swimming etc. While all these training helps a lot, it can still be difficult if you do not prepare yourselves mentally. Hence it is a good idea to go for a one day hike before you take the Manaslu trek. This will give you an idea and a feel of how your body reacts to walking for long hours. And will help you prepare mentally for trekking in Manaslu. The Manaslu Circuit trek is close to the Tibetan region. So, for individual safety and some government rules you cannot trek solo in Manaslu region. All the trekkers outside of Nepal will need trekking permit and a registered guide to trek in the Manaslu region. Trekking in Nepal is very affordable in comparison to other parts of the world. But, despite being reasonable if you are not financially stable, you can have a hard time. As such, it is important to be sure that your budget will support you in making your treks more comfortable. It also affects your choice of teahouses, food, transportations and so on. These add up to easing your trips as a whole. Packing wisely helps a lot in making your trip smooth, convenient and less difficult. Packing varies according to the season you choose to trek. Before packing, be sure to check the climatic condition, weather, and temperature of the region. Only carry items that you might need. We also recommend you to not pack more than 20kgs. Carrying unnecessary items will only add up more weight and will be a burden not only for you but for the porter as well. In case you opt for peak season, be sure to pre-book for accommodation and food along the route. Always stay hydrated and drink plenty of water. Take proper rest whenever you feel the need to and do not push too hard on yourselves. If you want to experience a peaceful trek, choose offseasons. Keep buffer days in case of delays and any other unplanned situation. Always reach out for help in case of Acute Mountain Sickness. There is no doubt that Manaslu trek is a challenging one. Manaslu Circuit trek should not be a concern of difficulty if you choose the right season and train yourself appropriately. This trek is exotic with fewer people that offer peaceful experience. And since it lies in the foothills of the Himalayas, it is a great option for those who want to explore the rare parts of Nepal. With clear certainty, this trek will provide you with the best moments of your life and an unforgettable adventure. So let us know if you want more information regarding the Manaslu Circuit trek. We are always open to answer any queries you make. For that please feel free to contact us. It is our pleasure to guide and assist you in planning the trip and making sure it is successful.